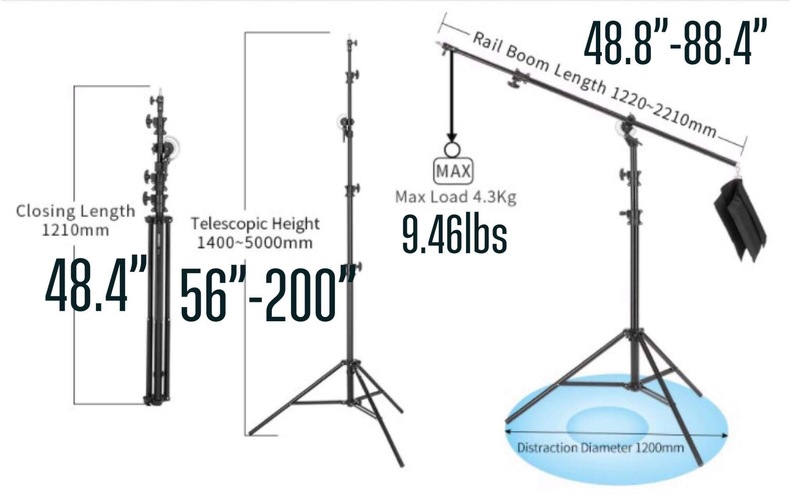 Be sure to also check out our speciak Kit pricing in the Kits section. 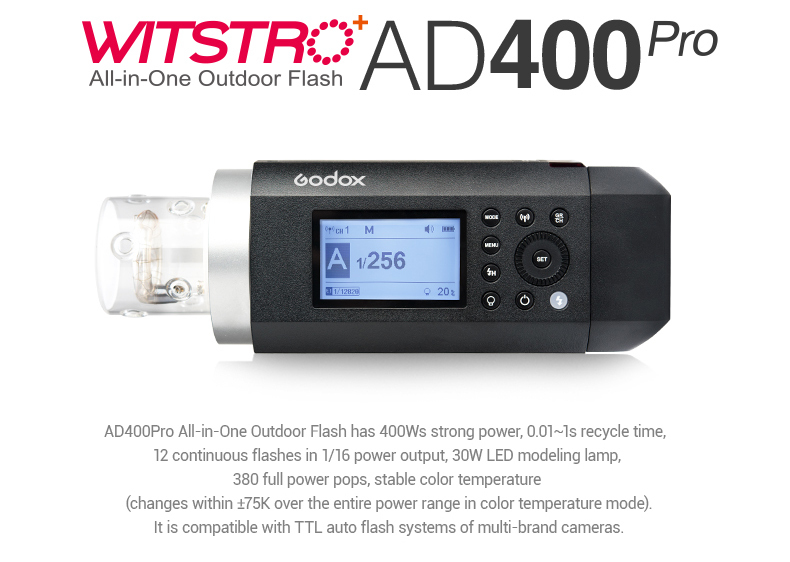 Meet the new Godox AD400 Pro – 400ws of TTL HSS power in a small package. 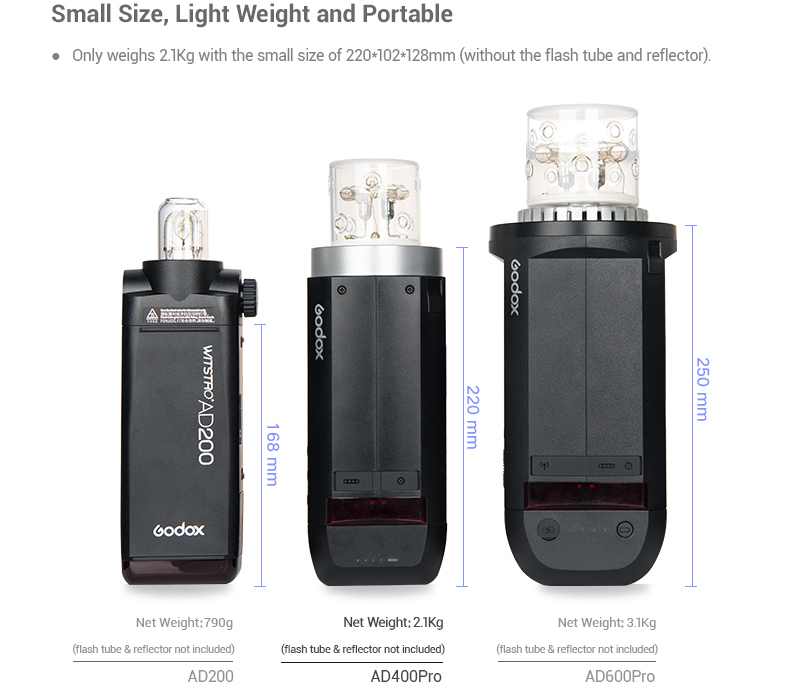 The AD400Pro is only 8.6 inches long and weighs just 2.1kg (about 4.9 lbs.). That’s the size of a water bottle! 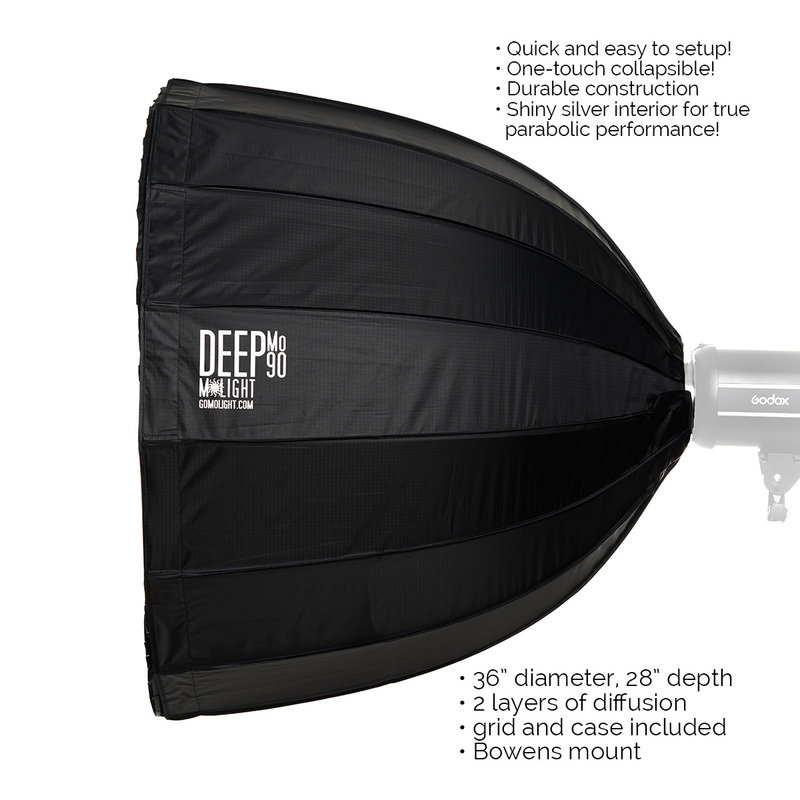 Tired of adjusting settings in tough lighting conditions? 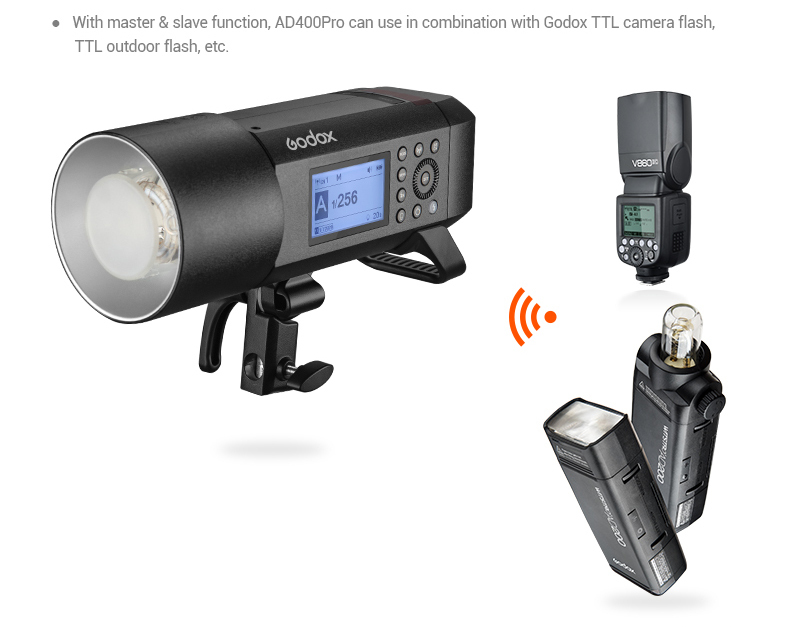 Then let the AD400PRO TTL do it automatically for you. 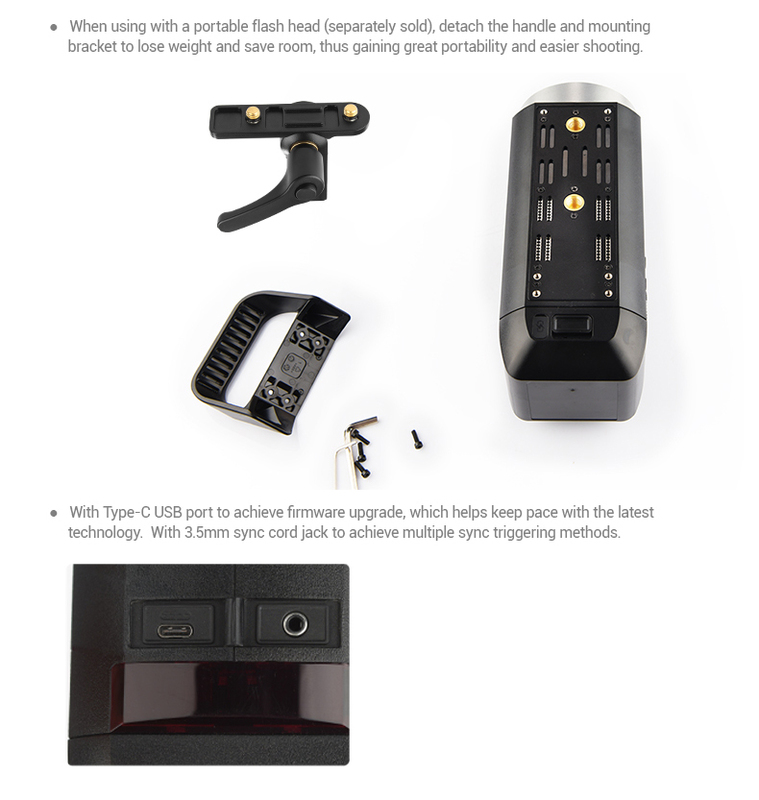 And if you are using the XPro transmitter, you can then convert your TTL settings to manual and lock them in via the handy TCM (TTL Convert to Manual) feature. Very convenient! The advanced lithium battery made by Panasonic is designed for performance. It will recycle 400w/s in 0.9 seconds. The AD400PRO TTL will give you 390 full power shots. One controller to rule them all. 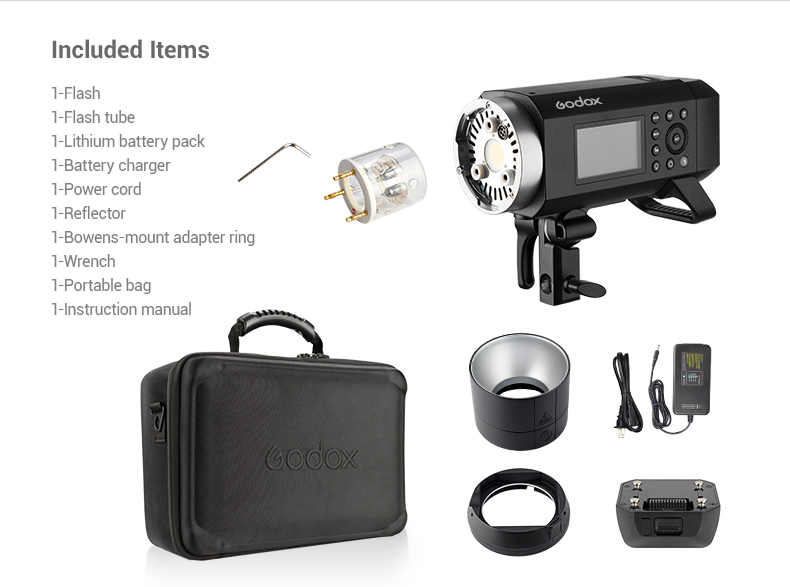 With its built in receiver all you need is the XPro or X1T for full TTL & HSS remote power control up to 300 feet away. 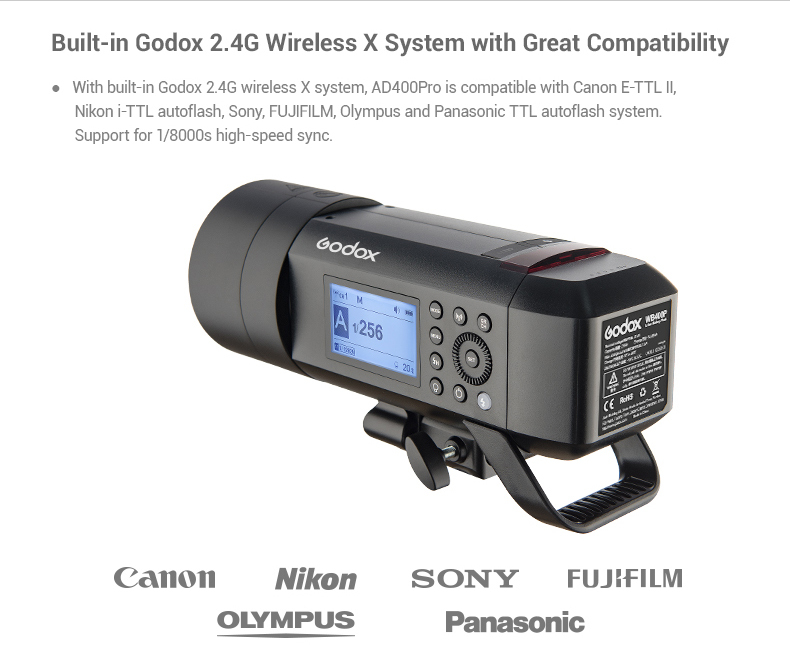 And of course you can use the AD400PRO with ANY of our current X-System Godox flashes – everything from the V350 mini speedlight up to the QT1200II studio flash. Ever had a problem with something you've bought online overseas? Good luck getting that fixed. We're an American company with an American warranty right here in ‘Merica. 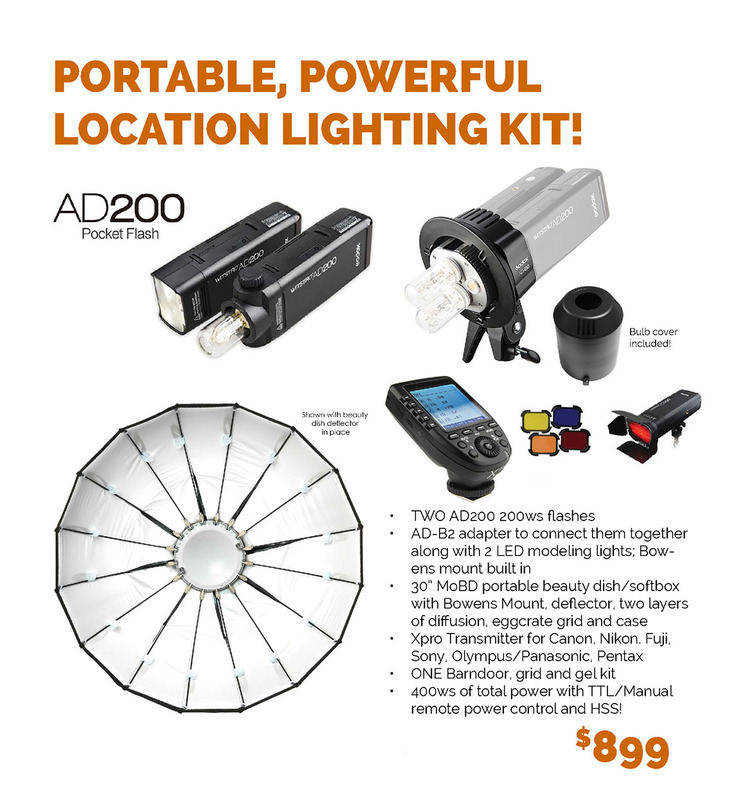 Your ADPRO TTL is backed by our MoLight 2-year warranty. Plus most orders shipped same day will be in your hands within 1-4 days anywhere across the country. All backed by our full support team. 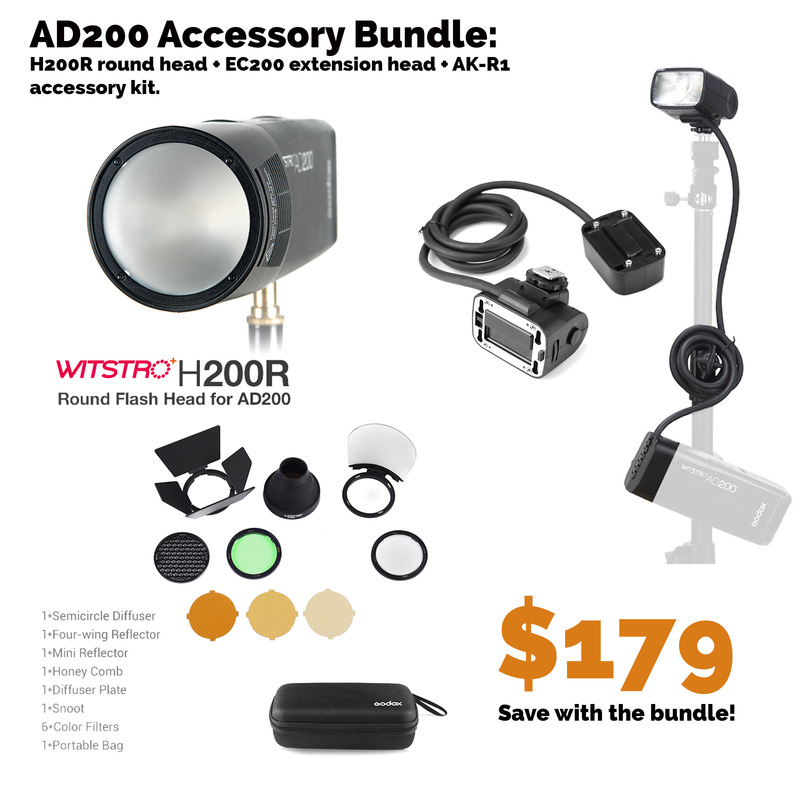 The AD400PRO dials down all the way to 1/256 power allowing you to shoot wide open with even your fastest glass. 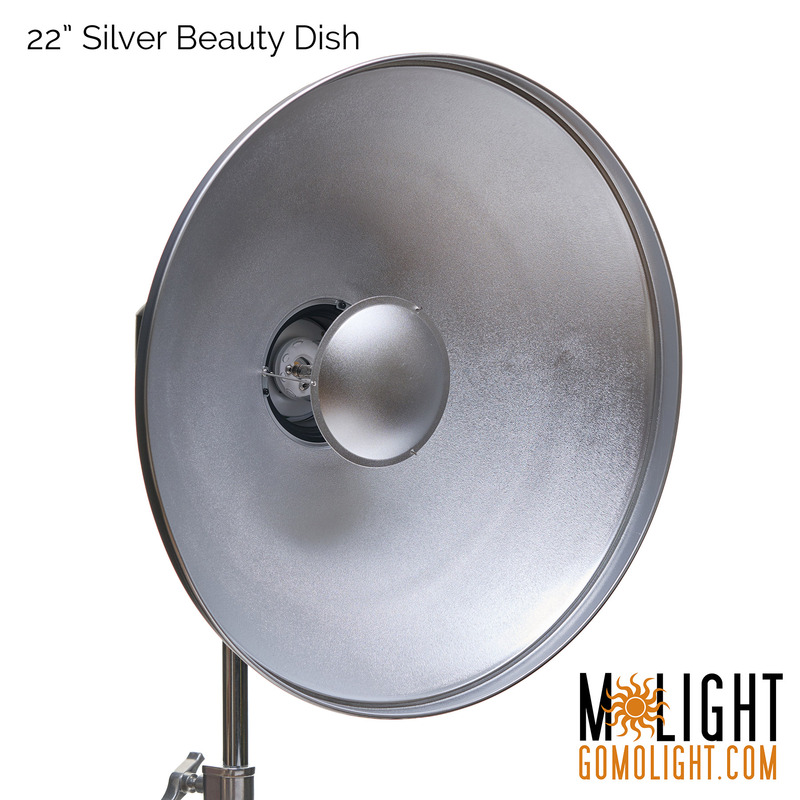 400 watts of power on the other end allows you to balance with the sun, even in midday. From babies to seniors to weddings to color-critical commercial photography, you're covered. 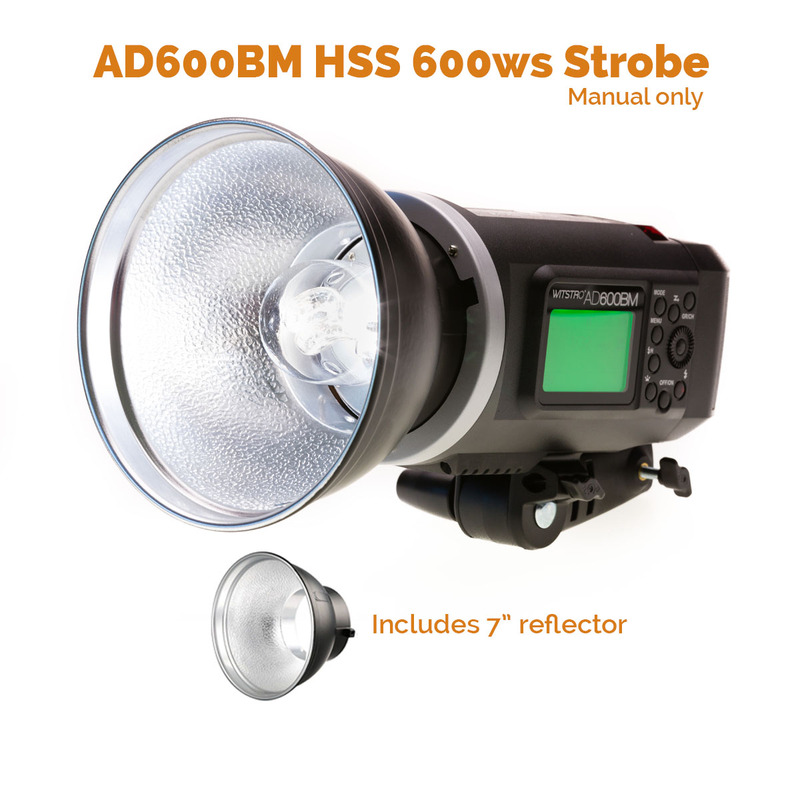 Finally HSS is built right into the strobe. No more receivers necessary. You've got 5 groups and 32 channels of wireless bliss. 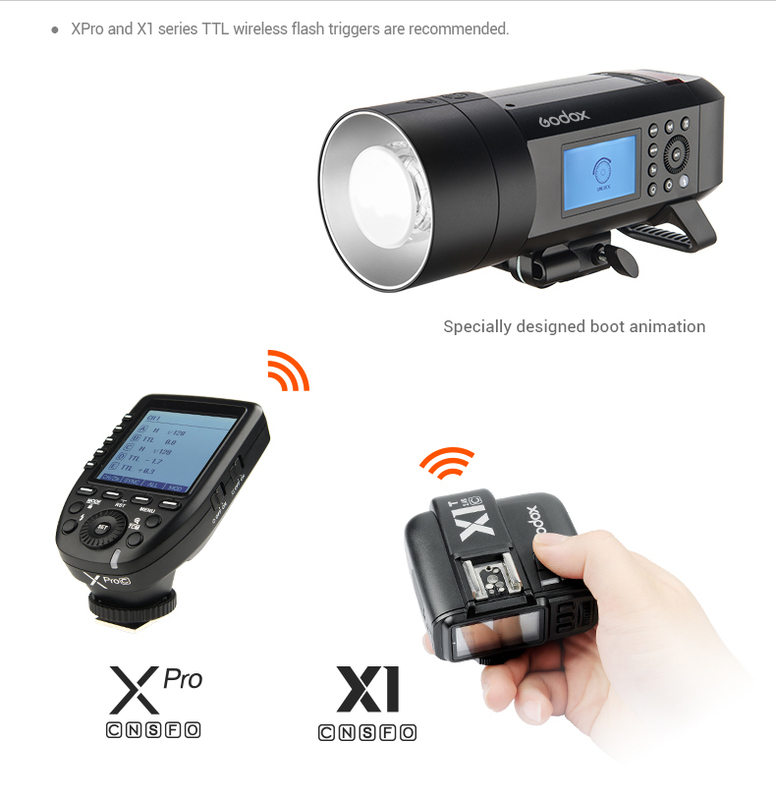 Easily control power across all your X-System strobes and speedlites. 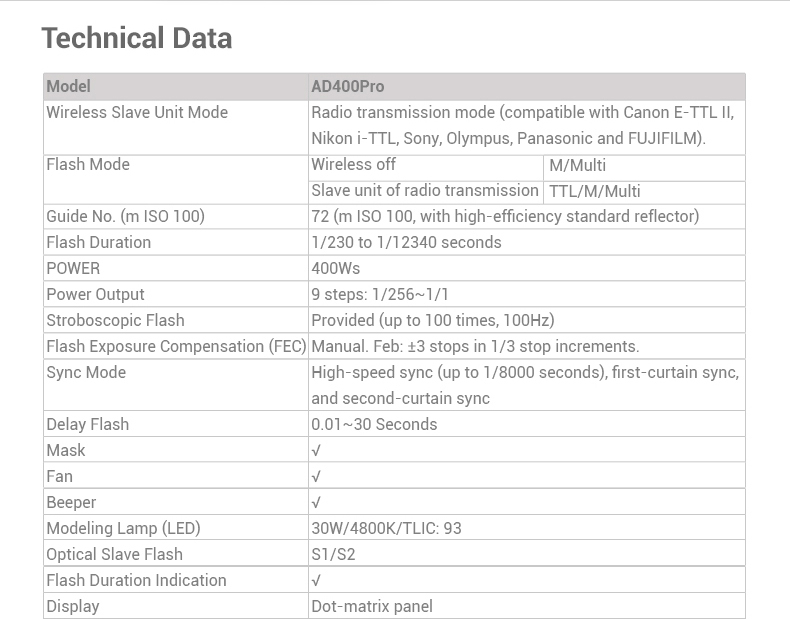 The AD400PRO TTL is dead accurate across the entire power range. With only a +/-75 degree variance across the entire power range. 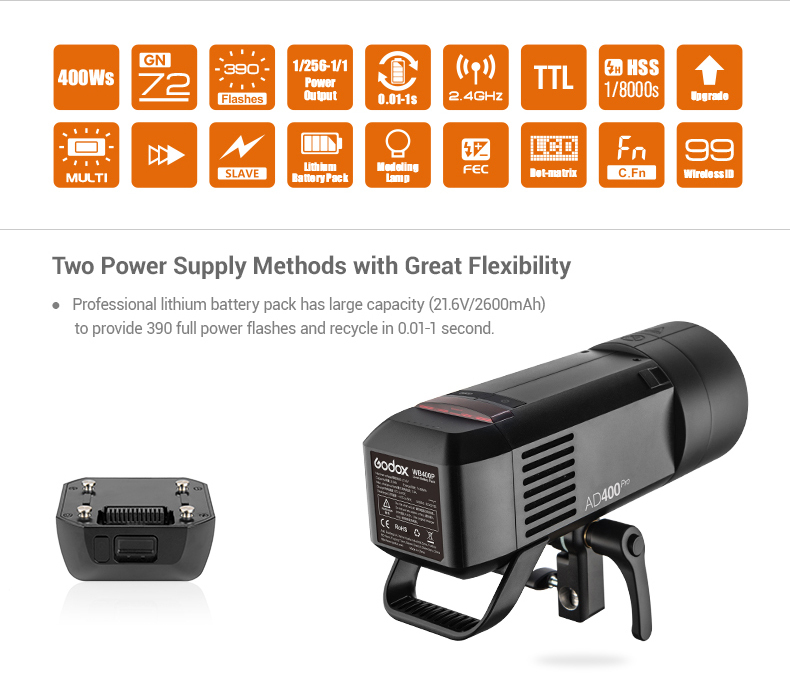 Stable power output, accurate colour temperature, professional results. 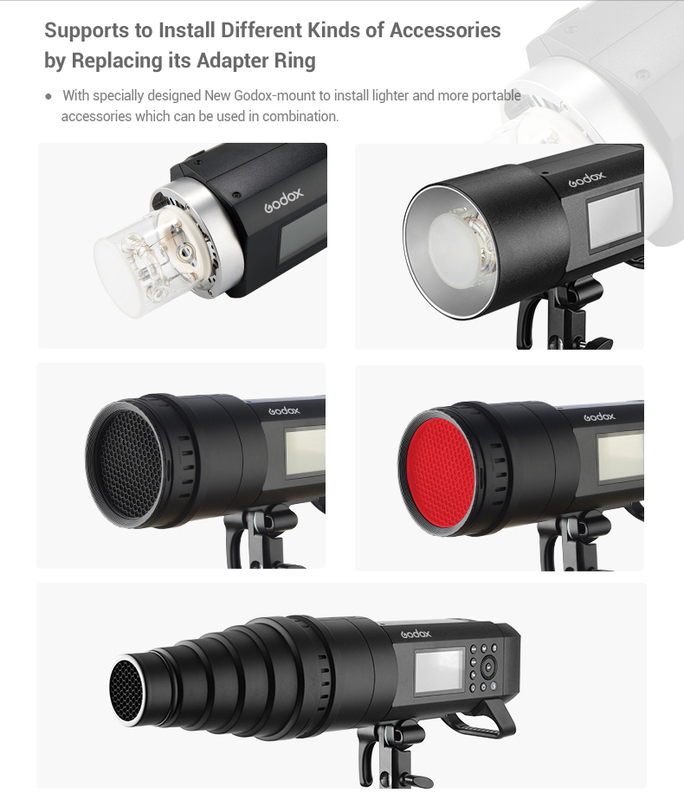 The new 30W LED modelling lamp is bright enough to help find focus easily. 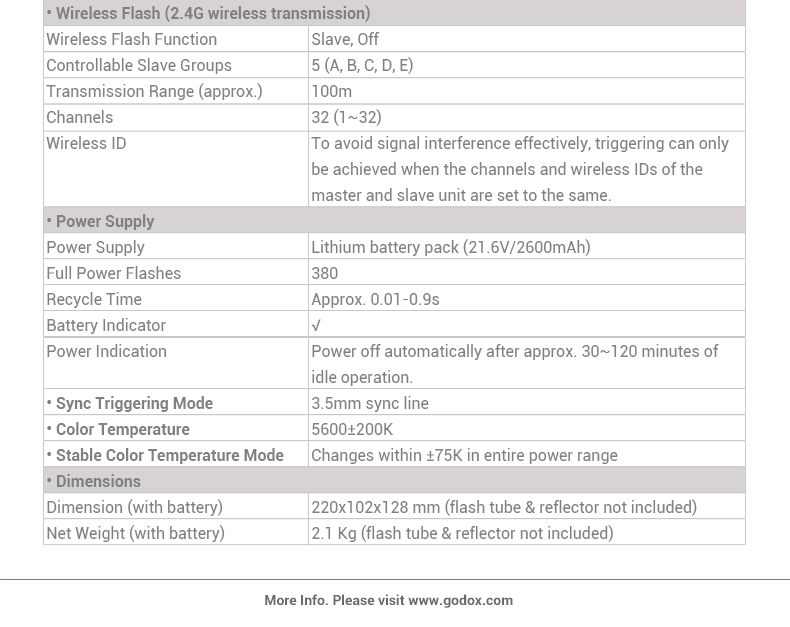 The micro USB port makes firmware upgrades easy. When a new update is released, you're covered. 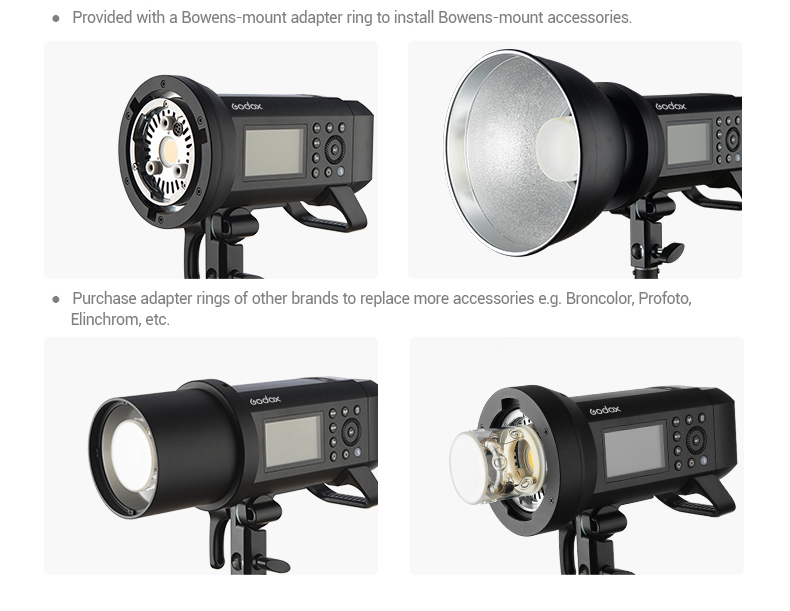 Two year warranty directly from MoLight.